Working towards six pack abs can be difficult if you are following the wrong advice. Contrary to popular belief you can build your abs by following the right workout meant for it and fuelling it by the right diet. You can find a number of ab diets that will help you tone your abs, however you have to be careful about where you look for advice and you have to be dedicated to achieve results. Below listed are 6 tips that will help you gain all the nutrition you need to get a toned abdomen. The best diet for good six pack abs is a well balanced diet of carbohydrates and proteins. In order to build muscle and burn fat one must follow a diet that is rich in both nutrients. Proteins are excellent when it comes to building a strong immune system and building muscle. The thermic effect of protein generates energy that is used for absorption, digestion and disposal of ingested food. Carbohydrates are essential as they are the fuel that the body needs to take on daily activities. But one should know where to draw the line as a high intake can cause scenarios that may not be beneficial for a healthy six pack. Too much carbohydrate can cause mood swings, encourage fat storage and also increase one’s appetite. A healthy mix of the two is advisable for favorable results. It is ideal that you consume a balanced protein and carbohydrate mix one hour prior to your workout. This healthy mix will allow the body to build muscle and burn fat faster and more easily. A lot of people who are looking at toning their abs usually consume a smoothie or milk shake that is rich in proteins one hour after their workout to ensure muscle protein synthesis. You should never underestimate the power of water. Water is the primary instrument that transports important minerals and nutrients to different parts of the body. And if the percentage of water in one’s body drops, nutrients that are needed to keep one healthy will not reach the designated parts on time. Water also plays an essential role in carrying away waste material from various organs in the body and a good supply of water daily can help reduce one’s craving for fatty foods. Drinking water during a meal can help reduce one’s appetite ensuring that one does not consume more than what is required. If you want to tone your abs it is essential that you don’t starve yourself. Five to six shorter meals a day are necessary to burn fat and build muscle. Do ensure that your meals are balanced with the right amount of protein and carbohydrates to facilitate your goals. You could make your meals interesting by alternating from shakes to cottage cheese of the low fat variety and even yogurt. Your serving portion should be as much as your closed fist. This is to ensure that the calorie intake is proportionate to your body weight. Once you start practicing a strict diet, your body may sometimes crave for foods that it is used to. Its survival mechanism will kick in and beg you to feed it foods that are rich in calories and fat. Eating food that is rich in calories and fat once in a while is absolutely all right, making it a habit is dangerous. Consuming such foods once a week can calm your brain and allow it to communicate to the body that it is not starving. 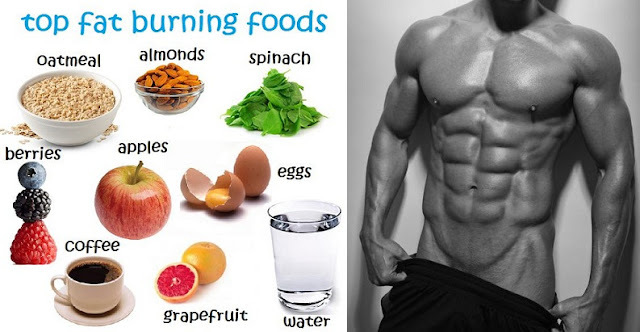 Eating right is absolutely essential if one wants great looking six pack abs. Exercise alone will not deliver desired results however a combination of the two will show effective results soon.